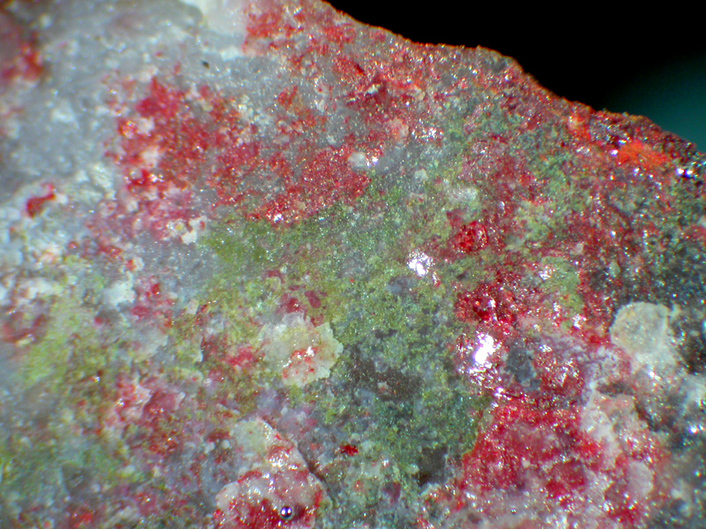 Edgarbaileyite: Mineral information, data and localities. Named in 1990 by Andrew C. Roberts, Maurizio Bonardi, Richard C. Erd, Alan J. Criddle, Christopher J. Stanley, Gordon Cressy, Ross J. Angel, and J. H. Gilles LaFlamme in honor of Edgar Herbert Bailey [August 3, 1914 Washington, District of Columbia, USA - July 28, 1983 San Mateo, California, USA], geologist for the United States Geological Survey and a mercury commodity specialist. The only approved natural Hg silicate. 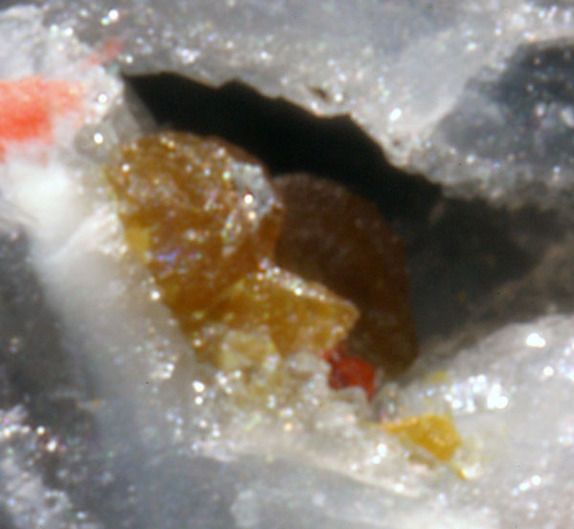 Compare the two other unnamed (not approved) Hg silicate minerals: CCUK-13 and CCUK-14. Thin crusts on fracture surfaces; disseminated rounded to mammillary masses; hollow mammillary nodules. Holotype specimen, (broken into two hand specimens, several mineral fragments, two polished grain mounts and two SEM stubs), Systematic Reference Series, National Mineral Collection, Geological Survey of Canada, Ottawa, catalog NMC 65531. Roberts, A.C., Bonardi, M., Erd, R.C., Criddle, A.J., Stanley, C.J., Cressey, G., Angel, R.J., Laflamme, J.H.G. (1990) Edgarbaileyite the first known silicate of mercury, from California and Texas. The Mineralogical Record: 21: 215-220. Cinnabar 12 photos of Edgarbaileyite associated with Cinnabar on mindat.org. Wattersite 8 photos of Edgarbaileyite associated with Wattersite on mindat.org. Mercury 6 photos of Edgarbaileyite associated with Mercury on mindat.org. Montroydite 5 photos of Edgarbaileyite associated with Montroydite on mindat.org. Quartz 1 photo of Edgarbaileyite associated with Quartz on mindat.org. Angel, R.J., Cressey, G., Criddle, A. (1990) Edgarbaileyite, Hg6Si2O7: The crystal structure of the first mercury silicate. 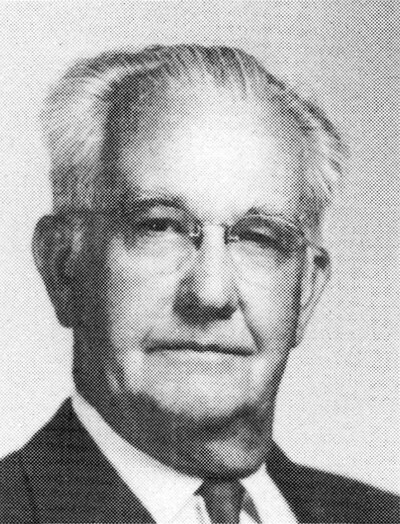 American Mineralogist: 75: 1192-1196. Mineral News: 20(10): 1, 4-6. 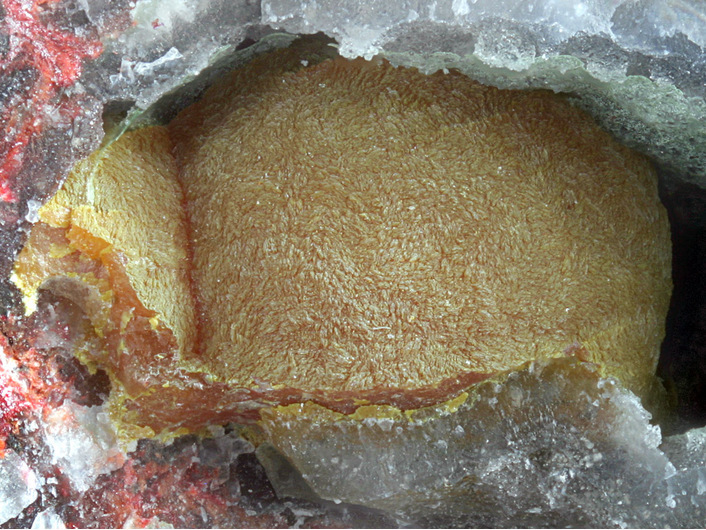 Mineralogical Record: 21: 215-220.; Mineralogical Record (1993): 24: 471-475.